For some, blogs are just a way of stuffing keywords to improve their SEO, but you and I know that they can be much more than that. In the apparel industry, they serve to promote personalised T-shirts and stay in touch with the community. 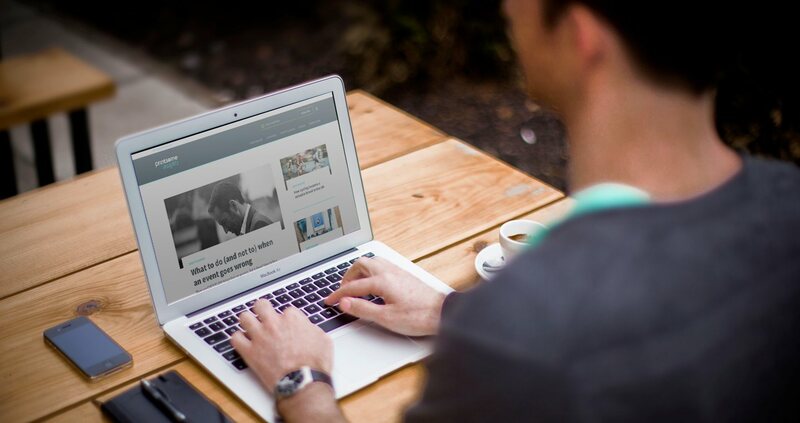 A blog is the voice and soul of an organisation. They carry the distinctive voice of the brand, but unlike other mediums can change their tone from comedic to flirty (and anything in between) from one line of text to the next. A great example would be the General Electric blog where they allow themselves use headlines such as ‘This Object Has Been Sprayed With The World’s Blackest Material, And It’s Freaking Us Out.’ A blog is a much more casual way to approach customers which is why the general lets it ‘hang out,’ if you will, when it comes to its content. 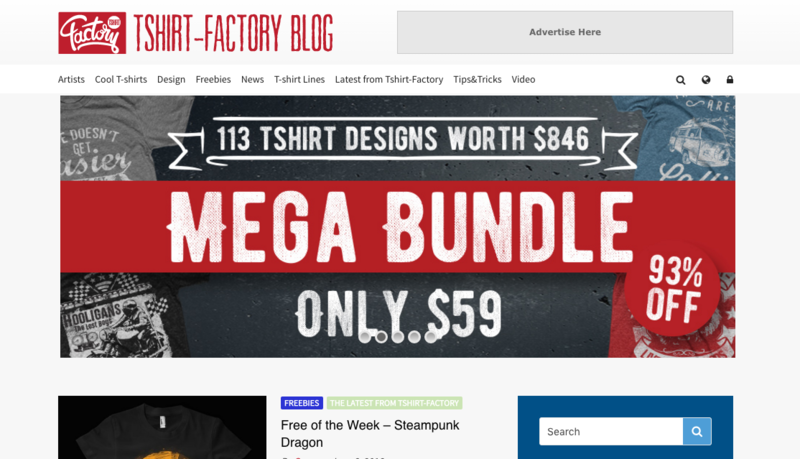 In the following list you’ll find T-shirt blogs that talk about, reviews, design, creativity, pop culture and much more. If you enjoy obscure pop culture and cult films then you cannot miss this blog. 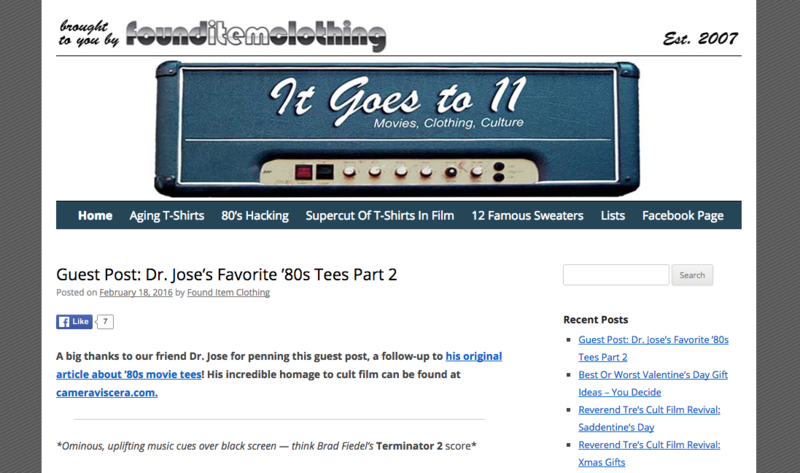 Check out Jose’s favourite 80’s tees to see what I’m talking about. It is nostalgia content at its best. Found Item Clothing does not only talk about T-shirts but also features many other collector items. This blog updates daily with T-shirt mockups of some of the newest designs out there. 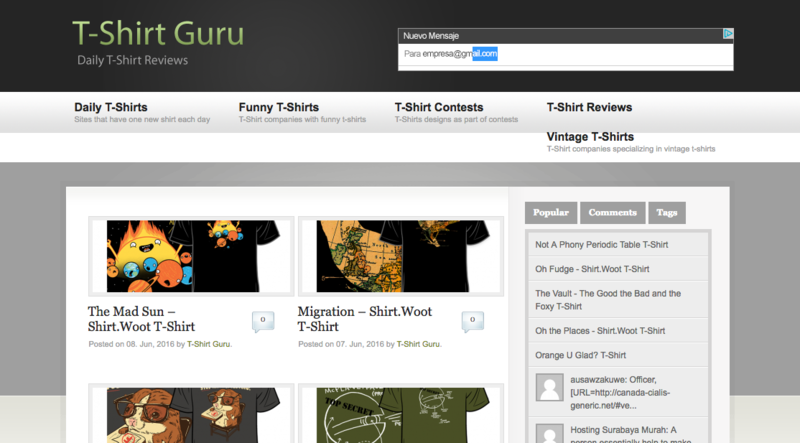 The Guru also offers sections specialised in funny, contests and tee reviews. 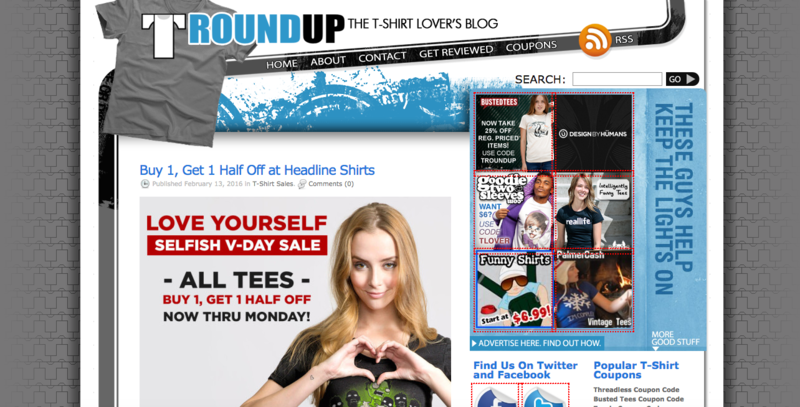 Colin, a young college student, started this blog because of his love for printed T-shirts. Even though he doesn’t wear them so much anymore, he still runs a blog that offers reviews and special promotions. Colin, please update more often. We love your witty comments! 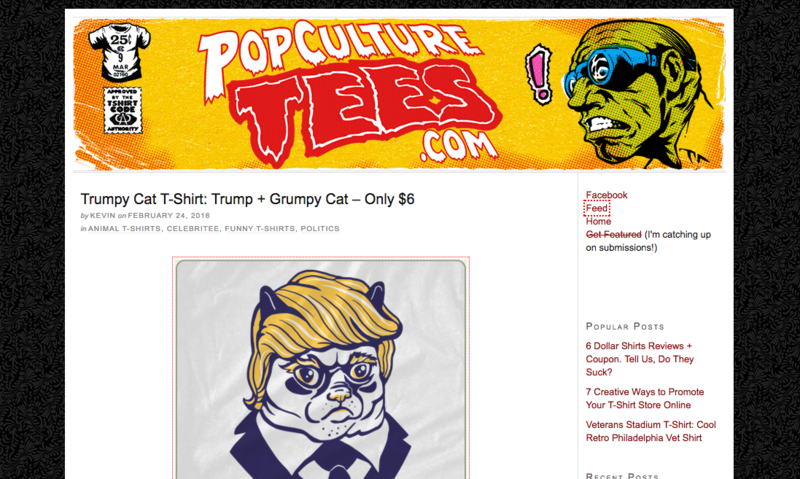 If you’re a T-shirt designer then you should ad this blog to your bookmarks. 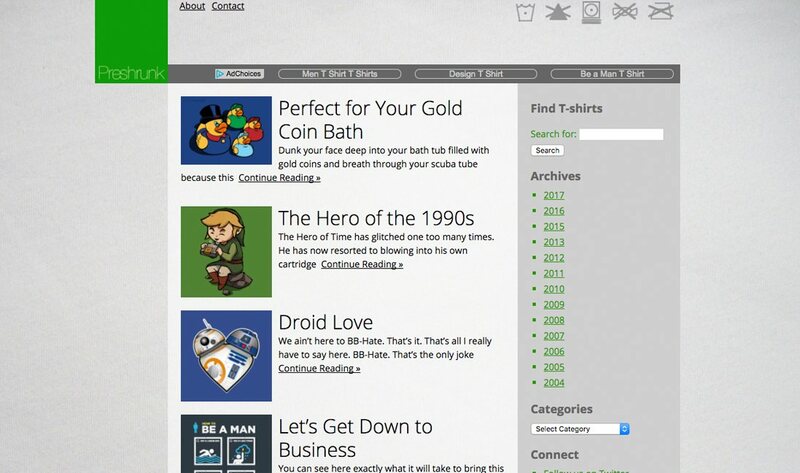 It is updated constantly with the latest T-shirt contests, its participants and winners. If you ask me, taking part in these kind of competitions allows you to not only earn a little bit of extra cash, but also update your portfolio. I Love Your T-shirt spreads the love for our favourite garment through specialised content like brand reviews and design showcasing. I personally love the Play-Doh like menu on their header. This blog is a little bit risqué and dares to go where other t-shirt bloggers don’t. Take a look at this Fifty Shades of Grey tee. Centred on pop culture, the website features some of the best garments tackling the hottest issues. We would only like to see it being updated more often, though. If you’re into highly detailed printed T-shirts then this is the blog for you. Here you’ll find some of the best designs on the web. Instead of focusing on brands like other websites, Fancy T-shirts focuses on the garment itself and handpicks only the coolest. Tee Reviewer does just what it says, T-shirts and apparel shops reviews. Unlike other blogs on this list that focus on design showcasing platforms and creator interviews, this site centres on the quality of the garments themselves by giving honest feedback. The downside? It doesn’t get updated very often. In their ten year history, Cottonable has become a reference when it comes to discovering new and obscure T-shirt designers. It is a great source for people who like something different and don’t feel identified with what retailers may be selling on the high street. Their approach is simple, but effective. This might just be the place where you discover your new favourite tee. Hide Your Arms is a straightforward and simple blog and I mean it in the best possible way. 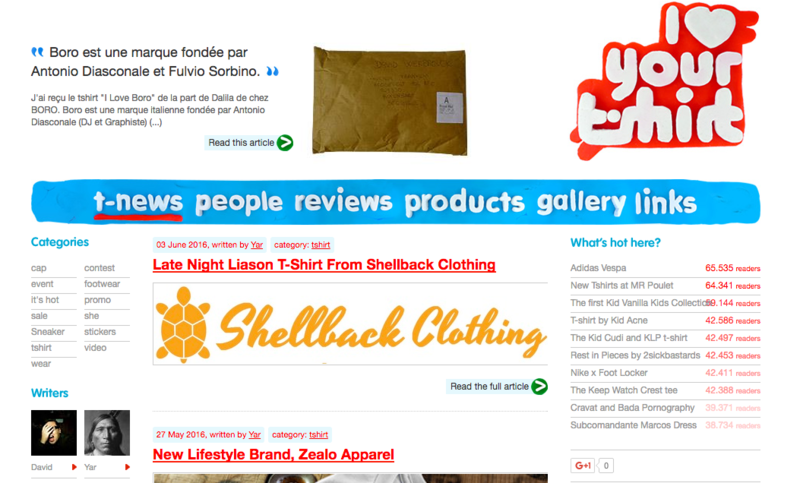 Do you want to know new T-shirt brands without all the spam? Then this is the right place. It features only the best of upcoming proposals, you’ll only find quality design here. 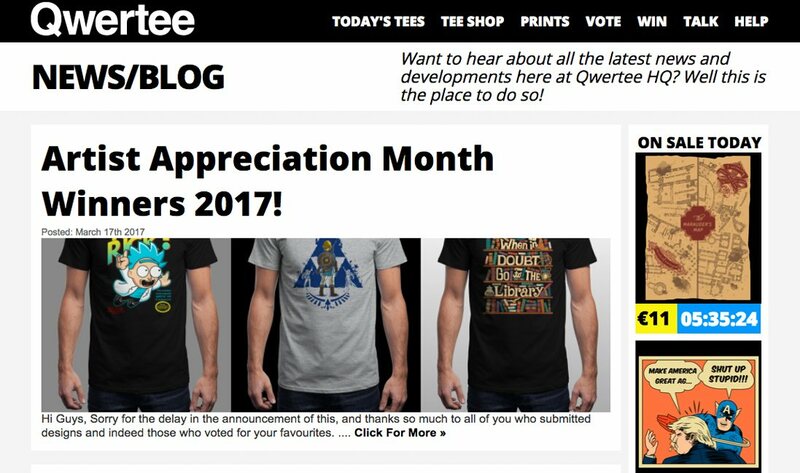 Tee Rater searches all over the web for the coolest t-shirts it can find and puts them together on neatly organised posts. If you’re into funny t-shirts or just enjoy browsing through clever garments as you would a BuzzFeed post then you should definitely check out this place. 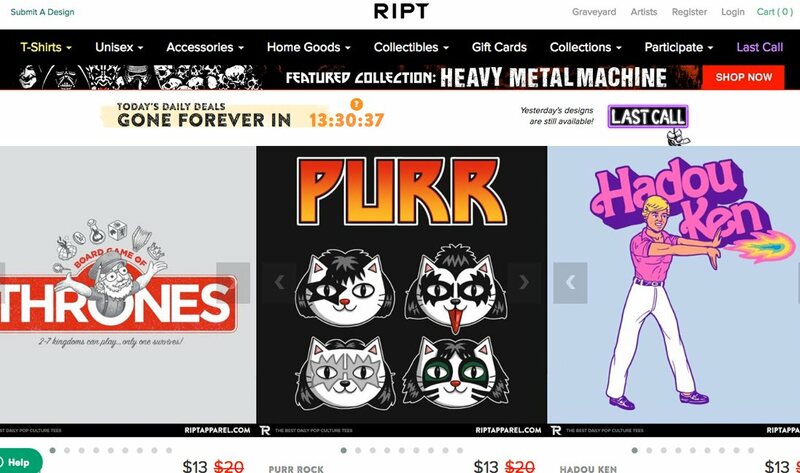 To save you from wasting time on searching, The Shirt List does the work for you and finds and reviews of the greatest T-shirts around. This includes limited edition pieces that won’t be available for long. One cool feature is that if you like a particular model, it suggests other similar ones. 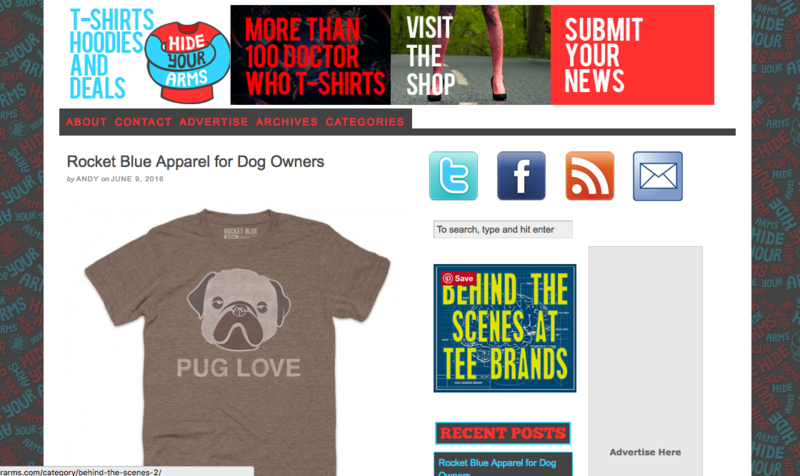 A cool looking blog that offers high quality designed T-shirts separated into different categories. It doesn’t have as many options as other websites, but this isn’t necessarily a bad thing. In fact, I think in this case quality speaks louder than quantity. 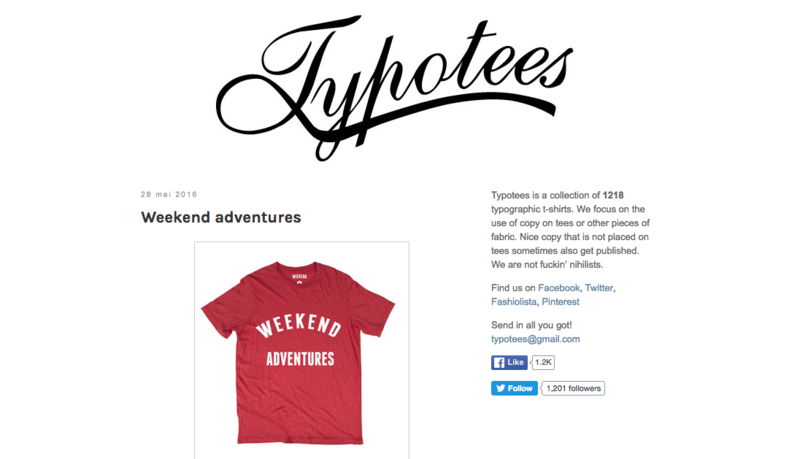 Typotees is a blog devoted exclusively to typographic tees. Here you’ll find all kinds of T-shirts as long as there is some kind of font printed on them. Some of them are funny, some controversial and others downright rude, but still interesting nonetheless. It is highly addictive too! Before I realised I had spend a good ten minutes browsing through all of the designs. 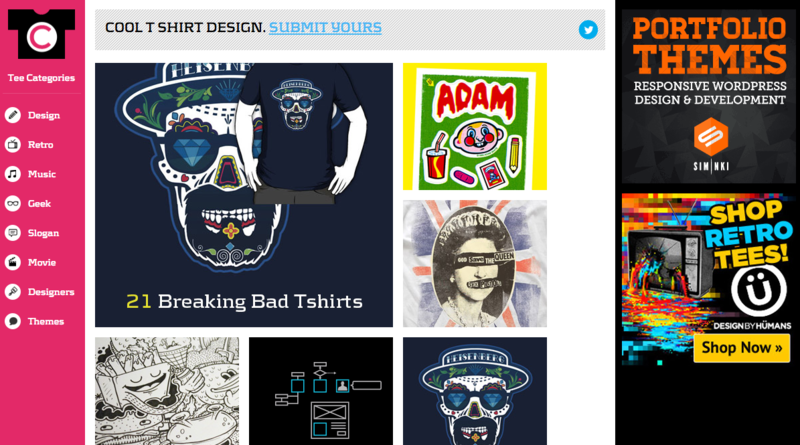 A one of a kind website that is not only a blog, but also a platform for T-shirt designers to showcase their best works. The website caters to the fans, the otakus, the committed ones who wait with anticipation for every Game of Thrones episode only to discuss theories with other fellow fans. Whether Pokémon or Star Wars, our friends at TeeHunter have made it easy for you to find the garment you’re looking for. 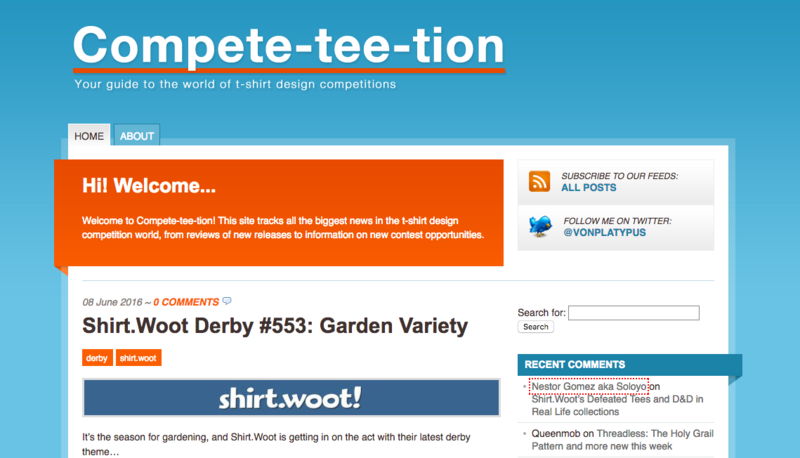 This blog features content on all things T-shirt related. On top of articles, the site also features a YouTube channel where his charismatic host Adam makes reviews and unboxes new products. It also features a guest post from yours truly, so don’t forget to check it out. 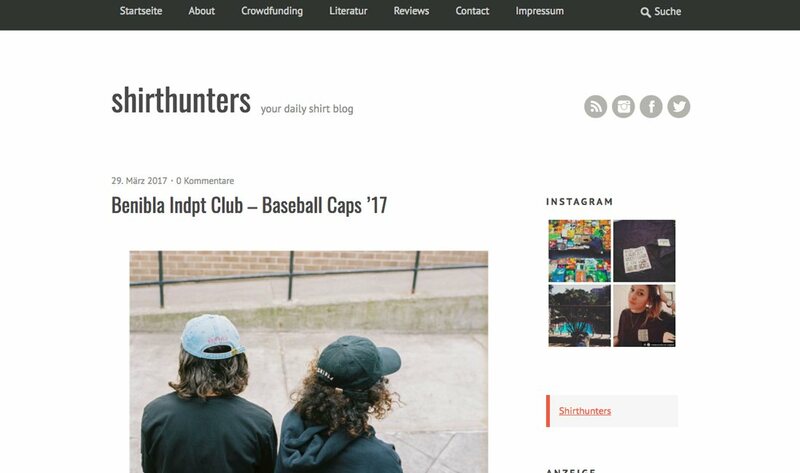 A platform that offers content specialised on the production aspect of the industry, which is a nice change considering most of the other blogs talk about T-shirts, but not the people behind them. It makes sense considering the website was started by three graphic designers. Now they’re a studio and offer freelance design work to anyone who might need a creative garment. Make sure you sign up to receive their cool freebies! An online magazine that talks about everything there is to talk about garments. Want to learn about how to launch your clothing line? They have an article for that. Want to learn about new and up-and-coming designers? They got that too. 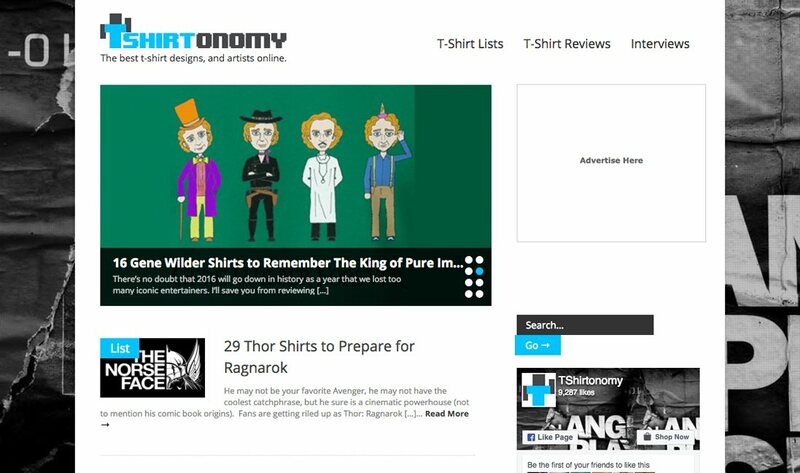 Ever since starting in 2008, T-Shirt magazine Online has become in probably the biggest publication in the US T-shirt industry. 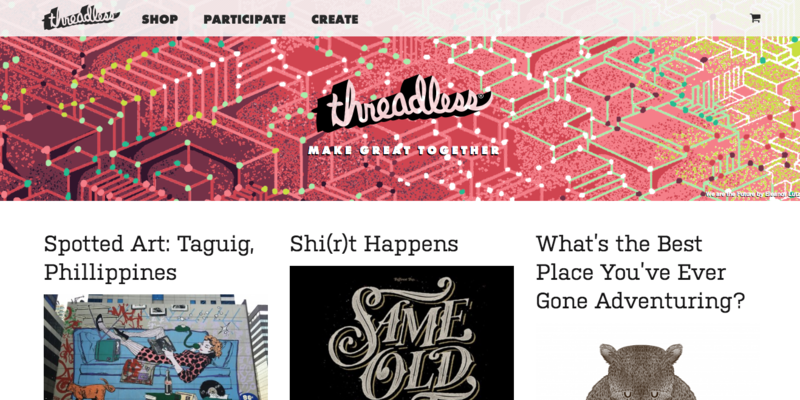 If you’ve been around the T-shirt industry for a while then chances are you’ve heard of Threadless, but in case you haven’t I’ll get you up to speed: It is a community of artists and designers where everyone is invited to showcase their designs on. 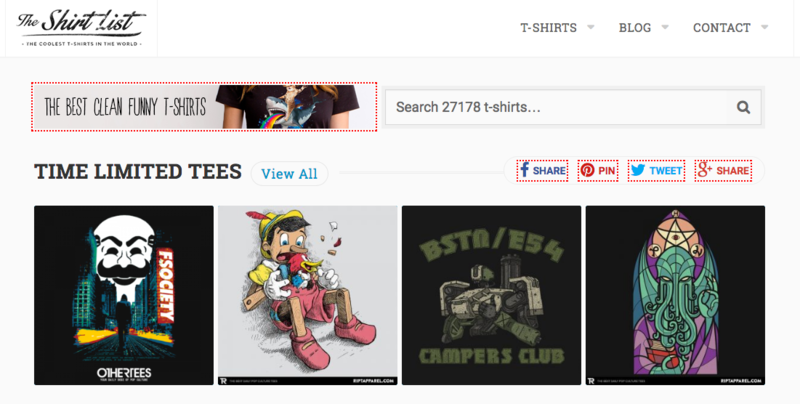 Every week the submitted artwork gets voted by the Threadless community and the most popular go on to production and put for sale. It is a great way to showcase your work, earn a bit of cash and get to know like minded people. 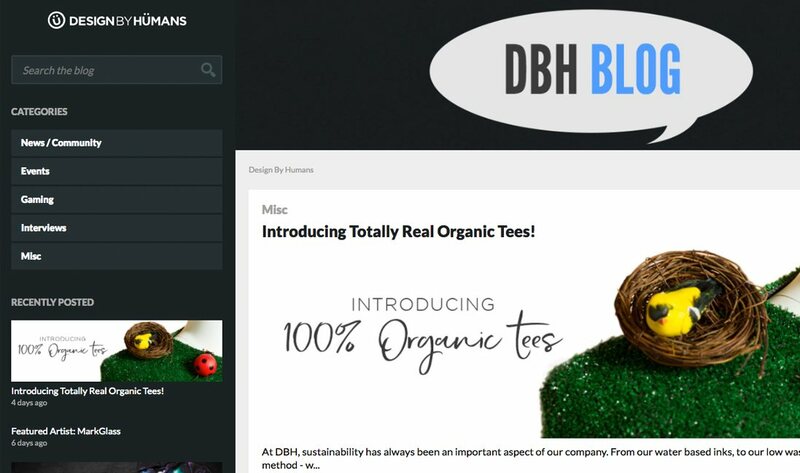 What’s neat about their blog is that it doesn’t only talk about T-shirts, but also about creativity while highlighting interesting artists and inspiration sources. What it lacks in design, it makes up for in content — and then some. You don’t need to have to be a T-shirt fan in order to enjoy this blog since it is well researched and written. Its latest post (at the time of writing) talks about Screen Stars a vintage T-shirt line that’s property of Fruit of The Loom. You may have heard of them, Design by Hümans is a large community of T-shirt designers that regularly organises design contests. The winner gets $1000 and the opportunity to sell garments with their print on them. On the blog, they run special promotions and feature artists among other types of content. The premise here is simple. They go searching for the best designs around the web and post them on the blog. If you’re into curious, geeky and funny T-shirts then this is the place for you. Queerte works with professional designers to create great looking T-shirts and sell them for a limited amount of time – 24 hours to be precise. After this time is up, the designs are gone for ever. 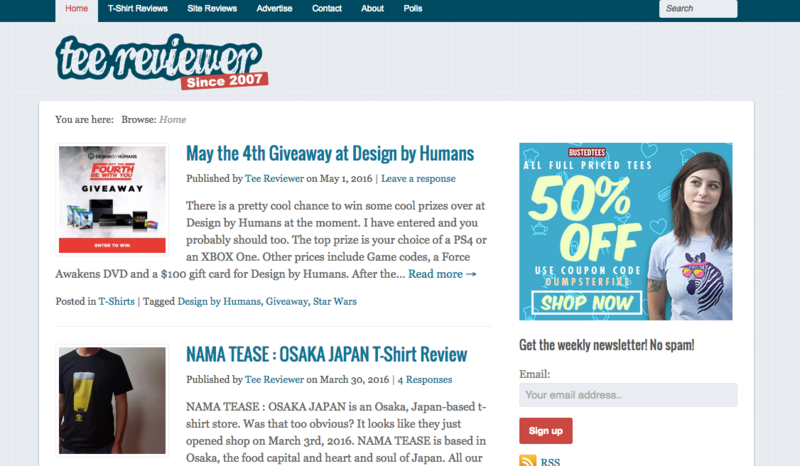 Qweerte’s blog is mostly used to communicate with its community and showcase the works of the winning artists. Overall, a nice place for T-shirt enthusiasts to get together. 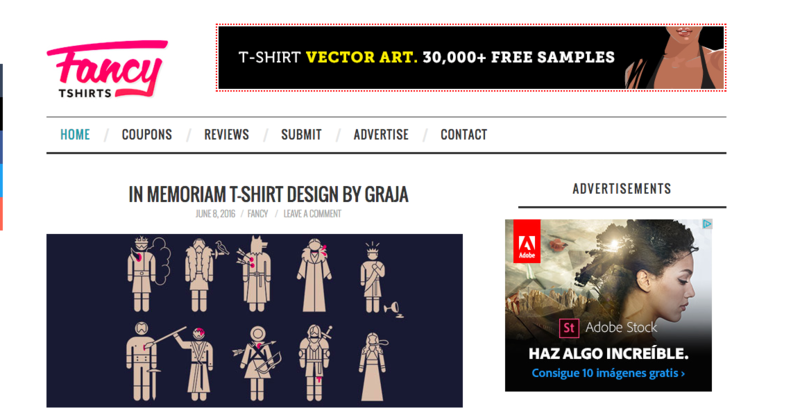 This website offers many kinds of T-shirt designs from different fandoms, but unlike other blogs they not only talk bout their services and community; they also write news about super hero movies and the likes. Fan of streetwear? Then this the place to go. This German blog talks about some of the hottest designers and brands of the moment. Unlike other blogs on this list, they there’s a curation process when selecting the features which means quality. It is in German though, but you don’t need to speak the language to understand what they’re talking about. 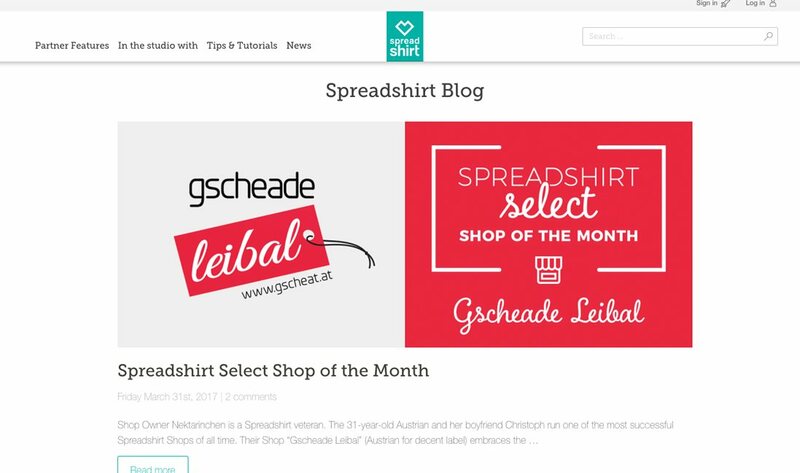 Spreadshirt is a platform where new designers can sell their products without the need of a big investment since it offers no minimum orders or prints. 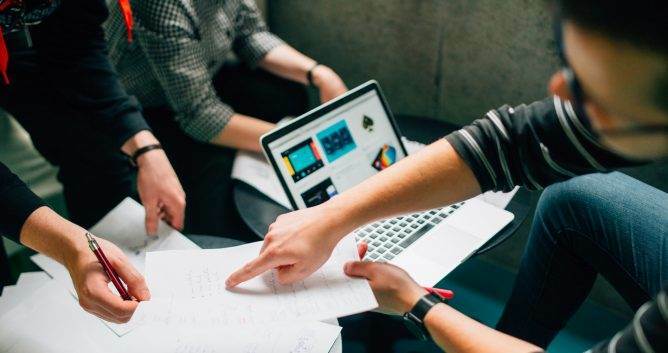 On their blog they interview up-and-coming creators, give resources to their users and communicate the latest news regarding their services. We are big fans of its minimalistic design. 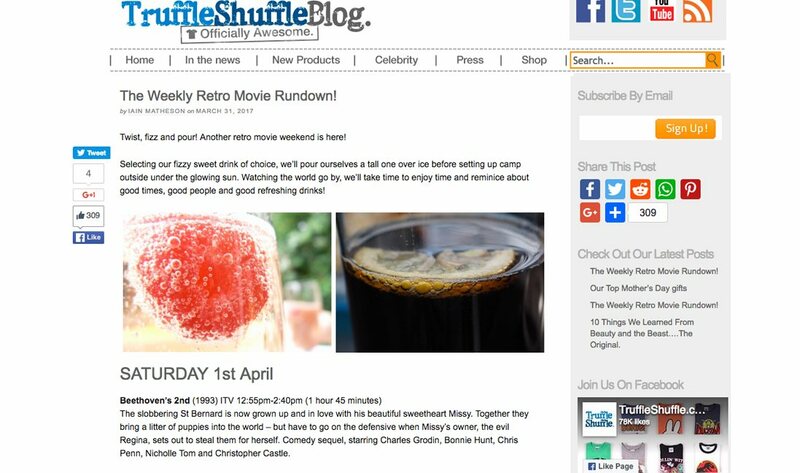 More than a T-shirt blog, Truffle Shuffle is about the nostalgia of retro movies. On their Weekend Retro Movie Rundown, they give you a small preview of the old movies you can watch on British TV that weekend. They also throw in a bit of merchandise here and there.